Anarkali suit featuring in pink net with hem line enhanced in sequin and zari embroidery. 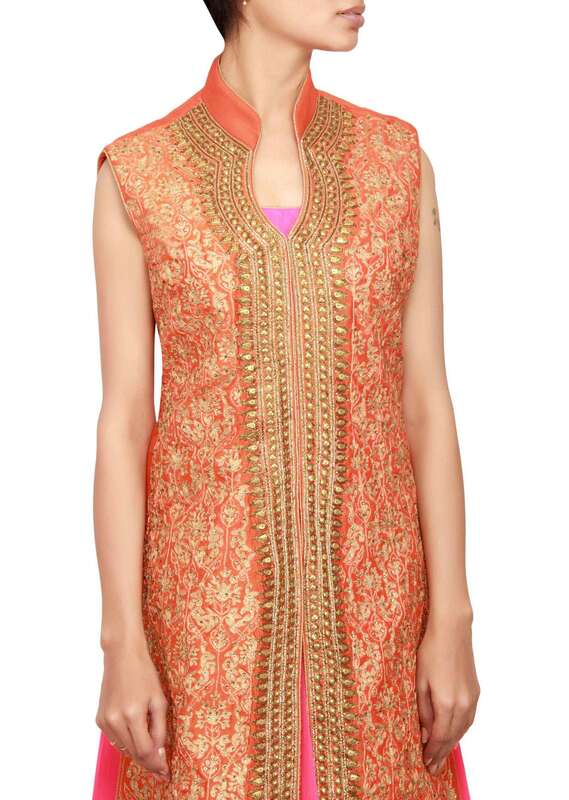 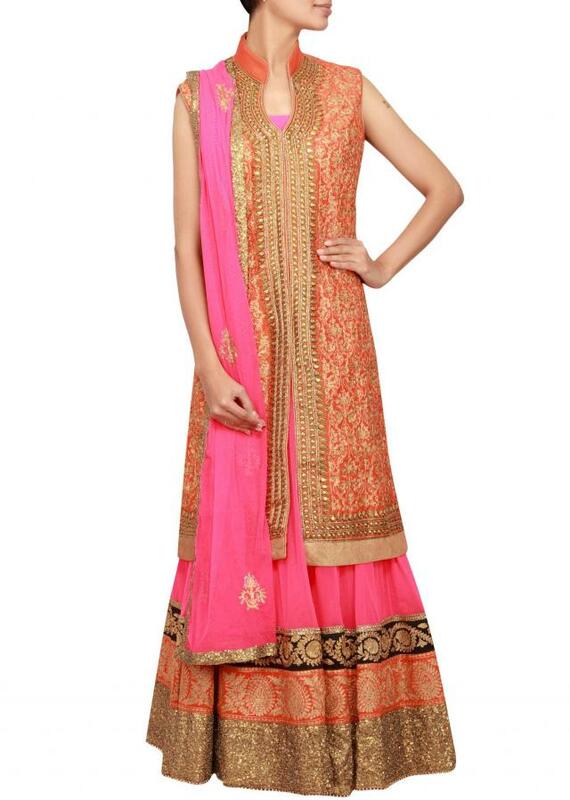 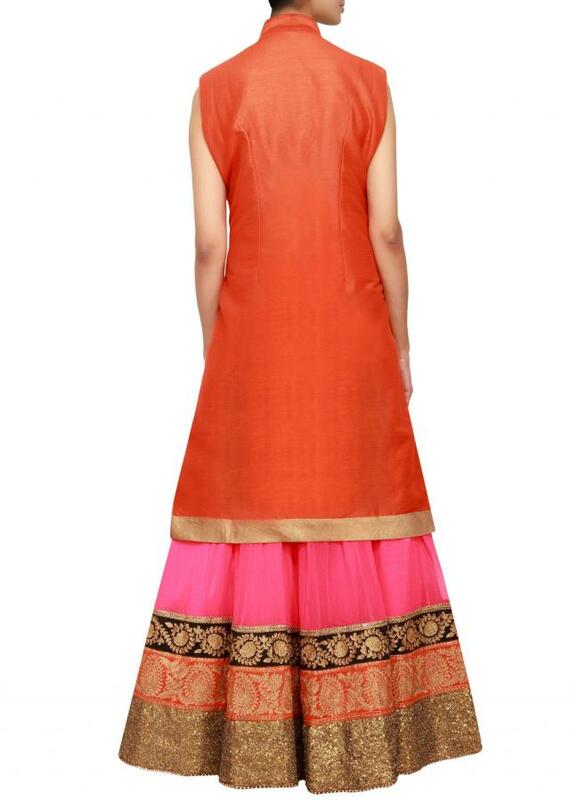 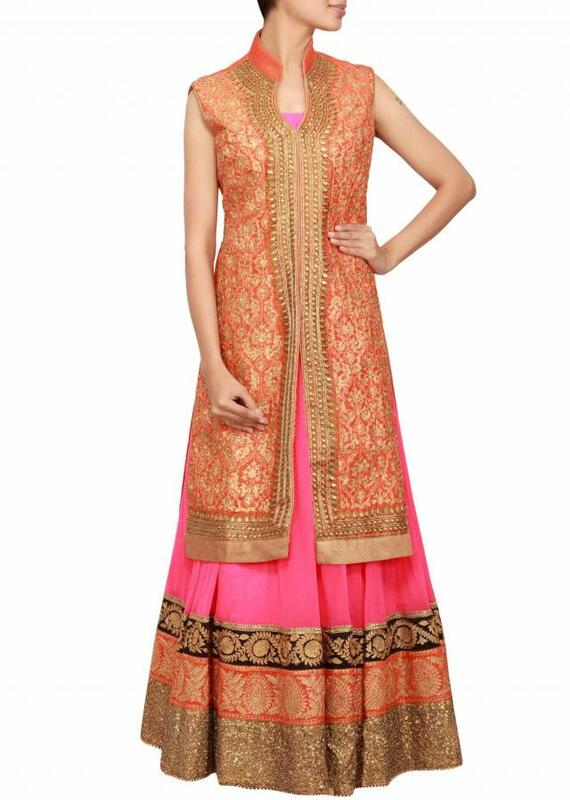 Its mathced with orange silk jacket embellished in sequin and kundan embroidery. 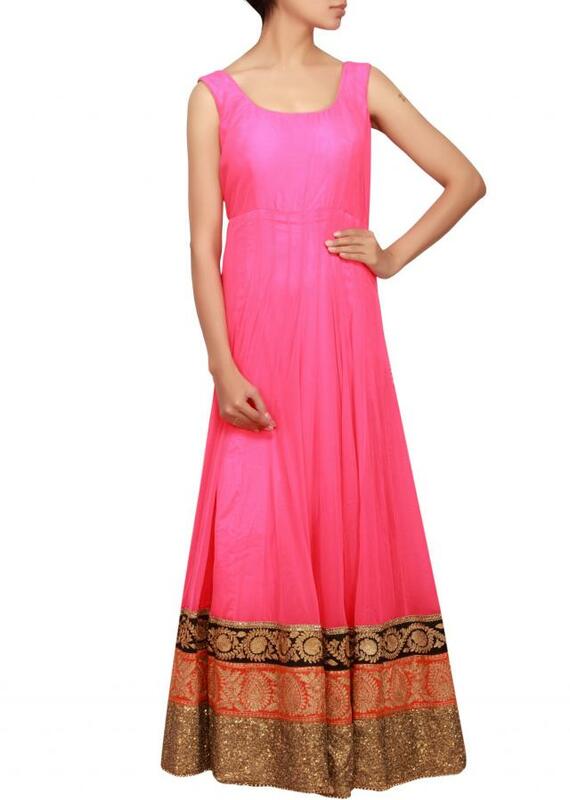 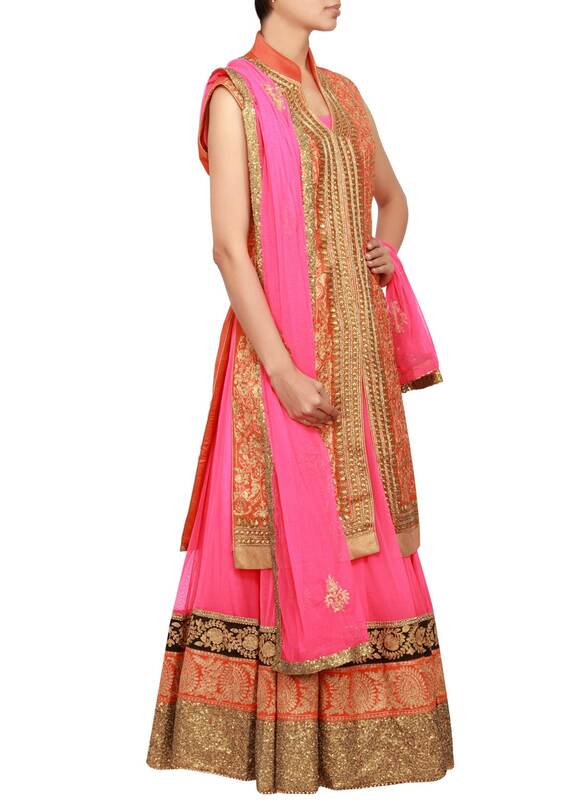 It comes with pink lycra churidar and pink net dupatta with sequin border.